For someone who gravitates towards black, navy and gray, this is as bright as it gets! 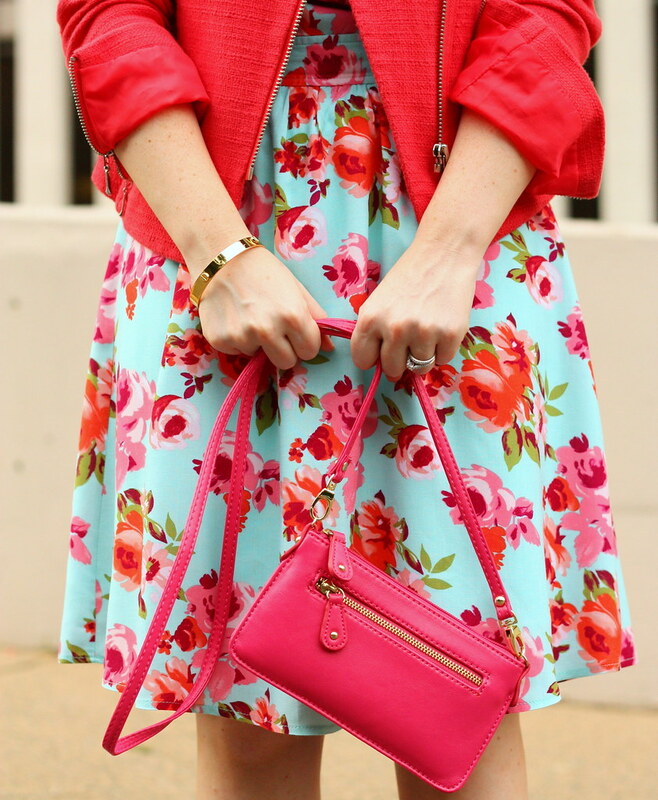 But I just love this girly, floral print with the mix of red and pink. A little Valentine's Day? Maybe! But the pattern on this dress and the baby blue pull it together so well! Which is why I didn't mind tossing on a red jacket and accessorizing with a bright pink clutch. I also think this might be my way of holding on to summer for as long as possible. 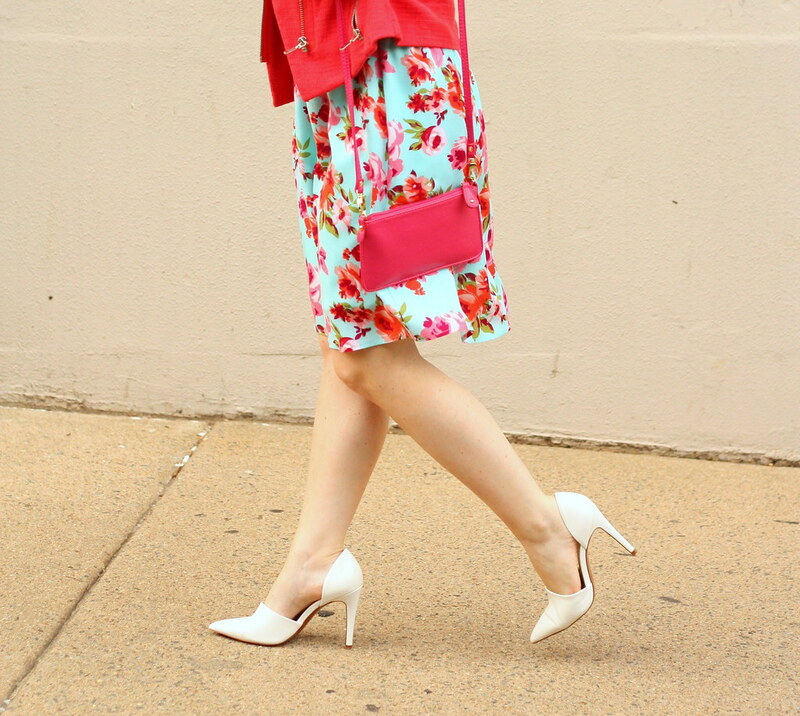 If I wear florals more often, maybe we'll just skip ahead to spring and fast forward through fall and winter? Pretty please! Love this mix - it's so bright & cheery...and I am seriously coveting your hair! You and I are clearly fans of different seasons! Bring on the fall and winter!!! That being said, this is an adorable outfit. That floral print is divine! I feel like we didn't really have much of a summer in Atlanta with all the rain, so I could do with a fast-forward/repeat! Beautiful outfit! Perfect colors mix! Such a cute look! In love with that dress! The colors are great! I absolutely love all of the color and print in this look! What a gorgeous dress! I'm in love with this outfit. I too tend to the darker shades but this outfit would brighten any day! I'm from Seattle so we can all really use some brightness! Well it certainly is change from your love of blacks and grey. The print is gorgeous and the style of the dress is very feminine. I recognize this dress! lol It looks SO good on you!